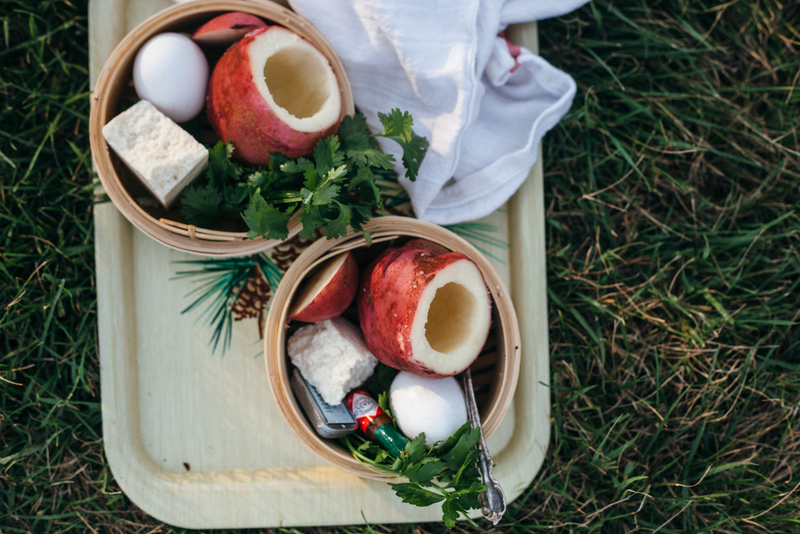 you wouldn't know it based on how much of a hermit i am now, but when i was a wee one spending my summers at sleep-away camp, i had an absolute favorite activity: outdoor cooking! all of the teachers were fresh out of the israeli army and they had cool tricks for making things like noodle kugel in a fire and the unexpected camper favorite, egg in a potato. i don't know if that was the official name, but that's exactly what it was. we'd sit around in a circle hallowing out our potatoes and then we'd put slices of american cheese in the bottom, crack in an egg, and then wrap it up with foil and throw it in the fire. i remember it taking a really long time to cook and getting really impatient and probably eating a raw potato, but it was still really good and super fun! so because eggboy loves making fires (we just watched the francis mallman episode of chef's table and i think he has a new hero...), we had a fireside supper the other night, just the two of us, with some visits from macaroni. did i mention that macaroni are big enough to free range now?? we let them out in the morning and then they forage and hang out with the kitties during the day and then at night, they just magically return home to their coop! it is the cutest little thing. i am perplexed about what to do with all of the poop that's in our yard now, but maybe it'll function as good fertilizer?? anyway, this egg in a potato is a very fun activity. 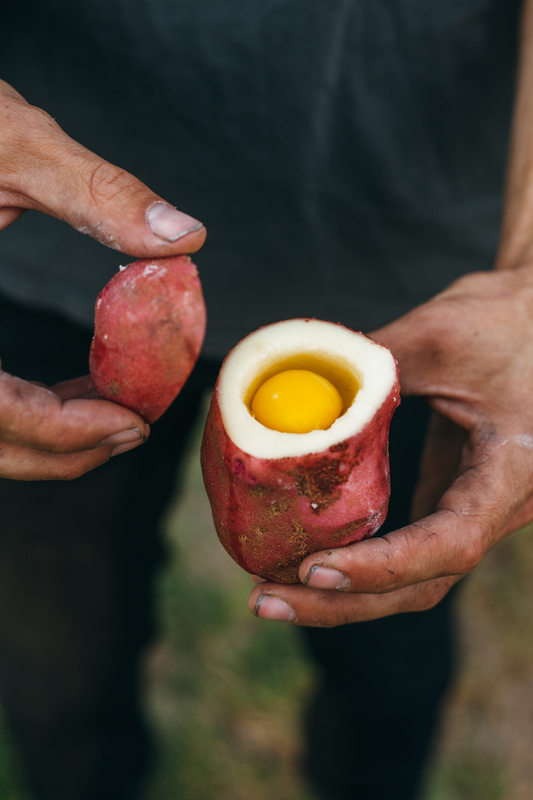 it's not the most precise way of cooking a potato and an egg--sometimes you pull it out of the fire and find a perfectly cooked egg but your potato still needs cooking, other times the potato is perfect but the egg's a bit too firm--but it'll still be tasty! top it with a bunch of cheese, make sure to bring a cute tiny bottle of hot sauce and a miniature tin of salt, and when it's ready to eat, run to your garden, yank out a few herbs, and garnish the suckers like the classy outdoor cook that you are. chop off the end of a potato (keep this end part, it is the potato's hat) and then use a spoon to hollow out enough space to fit an egg and some cheese. reserve the potato innards for another use, like potato soup, or feed them to your chickies. salt the insides of the potato and then crack in your egg and top it with cheese. place the potato's hat back on and then wrap it firmly in aluminum foil. 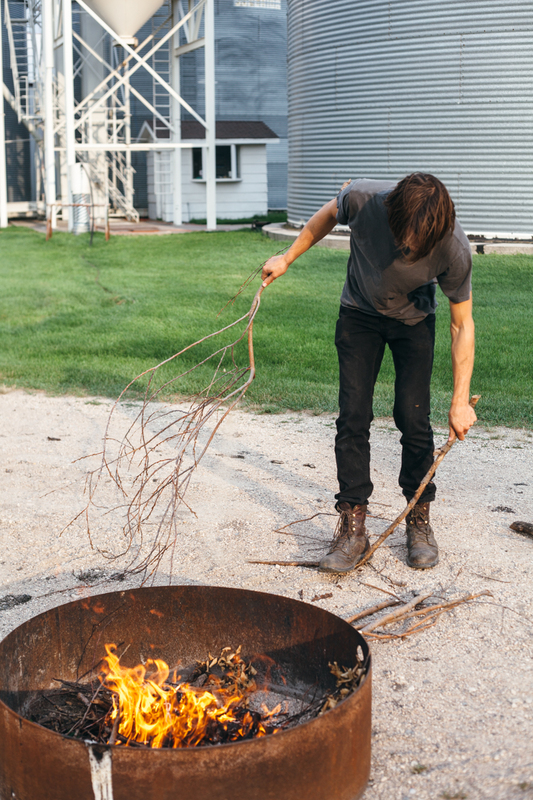 carefully put the potato on the outskirts of the fire. use tongs to retrieve it after about 20 minutes. 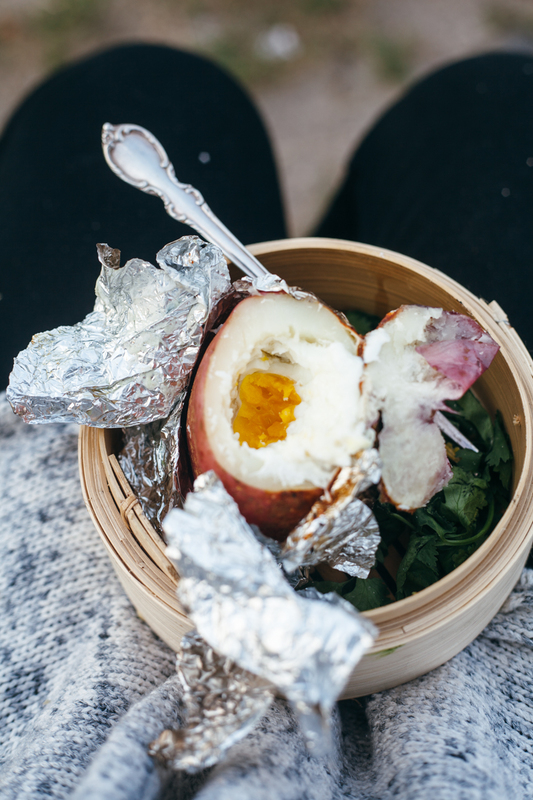 carefully open up the foil and then check for doneness--the egg whites should be cooked, the potato should be easily poke-able with a fork, and the yolks can be either runny or firm. if the whites are still runny and/or the potato isn't cooked through, rewrap the potato and put it back in the fire for a few more minutes. 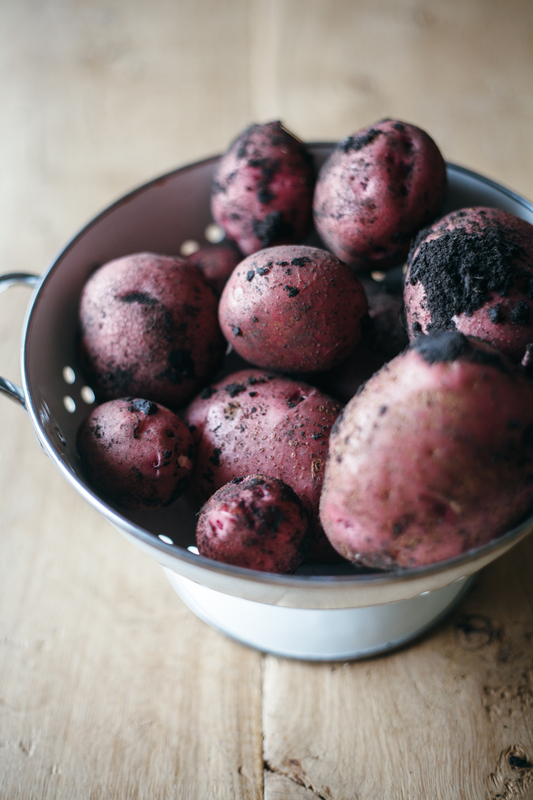 when the potato is ready, top it with salt, pepper, hot sauce, and fresh herbs, if desired. let it cool slightly and enjoy! thank you, american egg board, for sponsoring this post! if you haven't checked out their eggcyclopedia, you should, it has a bunch of interesting facts! like, did know that brown egg layers typically eat more and their eggs are typically bigger? or that the fresher the egg, the less it'll spread in the pan when you fry it?? there's also less of a chance that a fresh egg yolk will accidentally break. hehe i'm becoming an eggspert.